The decision to place a loved one in a nursing home is one that most families do not take lightly. You diligently research the options and settle on a facility you trust to provide professional, compassionate, and attentive care to loved ones. Unfortunately, despite this research, sometimes placing loved ones into these facilities can result in injury due to medical carelessness and various types of abuse. It is an infuriating thought, but even intentional, malicious acts of violence can and do occur within nursing or assisted living homes, and you have the right to pursue legal justice. As you search for a Fort Lauderdale nursing home abuse attorney, make sure that you choose a law firm with extensive knowledge and experience. With the lawyers of Yeboah Law Group, P.A., you and your family member benefit from 20 years of legal experience and aggressive patient advocacy here in Miami-Dade and throughout the state. These circumstances strongly indicate abuse and/or neglect. If you notice any of these changes, do not hesitate to remove your loved one from the unsafe environment, alert the authorities, and contact a knowledgeable South Florida nursing home injury lawyer for trustworthy guidance and legal assistance. When abuse and neglect occur within a nursing home environment, the offending individual is not the only responsible party. Nursing homes have a legal duty to hire experienced staff members, with clean criminal records and no history of abusive behavior. Unfortunately, many facilities fail to exercise due diligence in their hiring processes, which opens the door for inexperienced and abusive caregivers. When these employees abuse residents or treat them in a negligent manner, the nursing home may also be held accountable for resulting injuries. 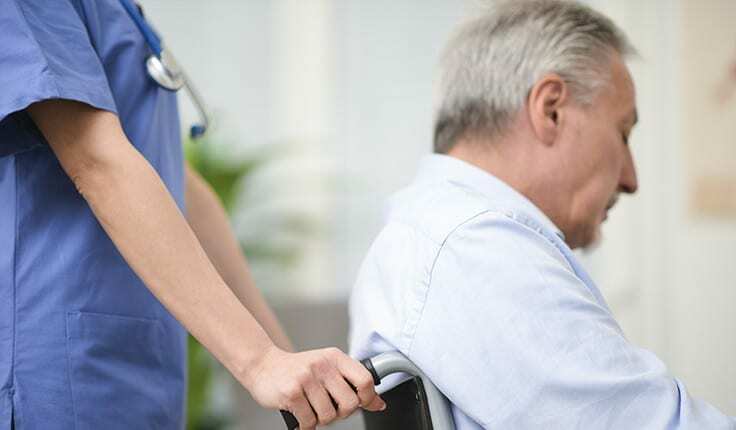 Nursing homes sometimes work hard to cover up incidents of abuse and avoid liability, but the skillful Fort Lauderdale nursing home neglect attorneys at Yeboah Law Group have the resources and experience to fight against their tactics and secure the compensation that your loved one deserves. It’s unbearable to even think about a loved one suffering abuse or neglect while in a nursing home. You may be tempted to only seek criminal action, without pursuing civil compensation. While nothing can erase the pain of this situation, at Yeboah Law Group, we feel that a monetary award can provide some closure for your loved one and the family. Contact our South Florida nursing home negligence lawyers today for diligent and earnest representation. You can call us at 1-800-TELL-SAM or complete our contact form to schedule a free consultation.